RIDGEFIELD, CT: Boehringer Ingelheim Pharmaceuticals reached its target to screen 1 million people in the US for chronic obstructive pulmonary disease during the first year of the "Drive4COPD" campaign. 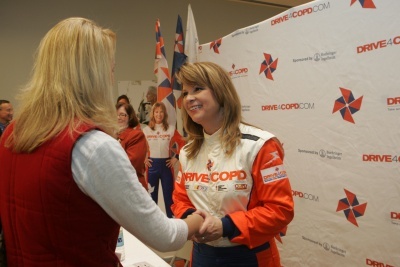 RIDGEFIELD, CT: Boehringer Ingelheim Pharmaceuticals reached its target to screen 1 million people in the US for chronic obstructive pulmonary disease (COPD) during the first year of the “Drive4COPD” campaign. The integrated campaign aims to encourage Americans to take an online screener, which was developed by the company as part of the unbranded effort that launched in February 2010, said Emily Baier, PR manager at BI. Baier noted that Twitter was the top referring site for the screener in 2010. “It's unprecedented, the use of social media,” she said. BI, a privately held pharmaceutical company with headquarters in Germany, markets several medicines such as Combivent and Spiriva that treat COPD, a respiratory disease. Twenty percent of the people who participated in the screener are considered at risk for COPD, according to BI. The company announced last week that new celebrity ambassador Billy Ray Cyrus and country musician Patty Loveless are leading a contest to encourage Americans to write a new song to support the campaign. Other celebrity spokespeople include Nascar driver Danica Patrick, actor Jim Belushi, Olympic athlete Bruce Jenner, and former NFL-pro Michael Strahan. Baier said that the company is focusing on the songwriting contest, the COPD ambassador program it launched last fall, and ongoing events to promote the campaign. There are plans to launch new initiatives in mid-February although she declined to provide details. The company aims to screen an additional 1 million people in the US by December 31, as well as encourage more people who are at risk to initiate conversations about COPD with healthcare professionals, added Baier.